With construction of Building 19, the park will be fully developed and will comprise almost 250,000 square meters of state-of-the-art distribution space. Vafo, a current Prologis customer at the park, will move from its current premises in Building 6. The lease on Building 19, facilitated by Cushman & Wakefield, will begin in the second quarter of 2018. The new building will serve as a distribution centre with a monthly turnover of 25,000 pallets of pet food. In the Czech Republic, VAFO operates three modern plants. The company distributes pet food to more than 65 countries around the world. To accommodate Vafo’s requirements, the floors of the facility will be equipped with inductive wire guidance systems; the rest of the building will be constructed to Prologis standards, with sustainable design features including cool roofs and LED energy-efficient lighting. Prologis Park Prague-Rudna is 20 kilometres from the Prague city centre and 12 kilometres from Prague International Airport, directly off Exit 5 on the D5 motorway. 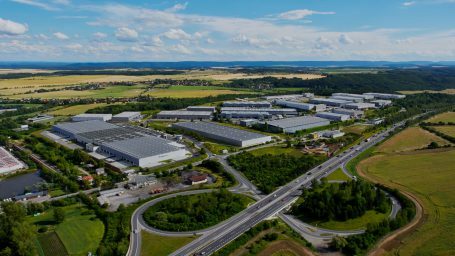 Prologis is a leading provider of distribution facilities in the Czech Republic with more than 1 million square metres of logistics and industrial space (as of 30 June 2017).